← 52 Photos Project revisited. I recently jumped on the Influenster band wagon. The first product I was given to review was Hasbro’s Monopoly Junior. Evangeline and I (how in the world did Evangeline go from being my tiny baby to being a nearly 5 year old whom I love to play board games with?) were very excited to find this in the mail when we got home from work/school. So after dinner, we opened it up, read the instructions and got to playing. We both concur that we LOVE this game. I mean really, who doesn’t love Monopoly already? Am I right? However, this is even better if your 5 years old and don’t quite understand real estate and commerce, ya know! So anyhow, we love that all the bills are $1 denominations, so easy for Evangeline to count. We also love that things don’t cost much, so were never really dishing out more then say…10 monies :). It only took one round to know this was going to become a family favorite, simple enough for the pre-schooler but still uses enough brain power to be fun for the parents to play unlike so many other young person targeted board games we have played (cough cough Candyland cough). I also really like the lessons Evangeline stands to learn from playing this, counting, financial management, taking turns/being a good team member and even how to be a good looser. That being said, Evangeline cleaned up..she legit broke me haha so that didn’t hurt her first impression of this game. Thank you Influenster for giving us the opportunity to review this game. 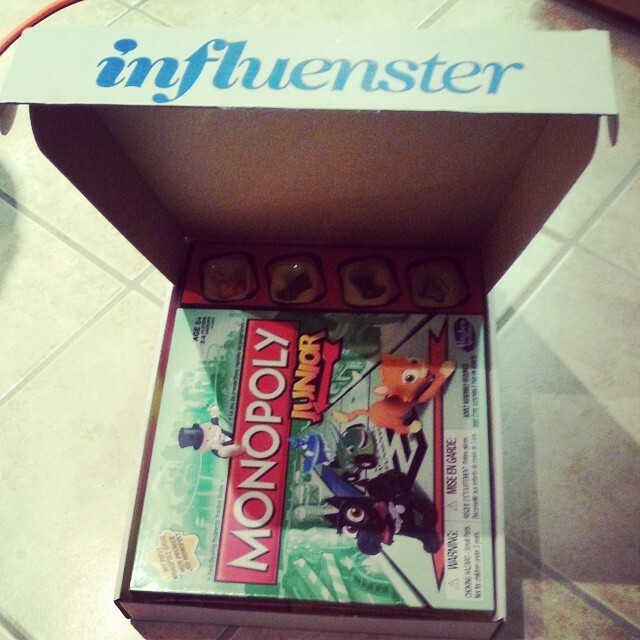 We love our #GameNight #Voxbox. Posted on December 17, 2014, in Uncategorized. Bookmark the permalink. Leave a comment.